I love stir fry. 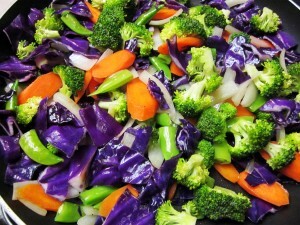 Many different vegetables and seasonings work well for stir fry. You don’t need a recipe, nor do you really need skill. You just need to know what you like. Today I was in the mood for something colorful on my plate. This recipe is colorful, nutritious, delicious and so easy. I used Trader Joe’s Island Soyaki for this. You may use any sauce that tickles your fancy. Throw all veggies in a pan with pre-heated olive oil. Easy Peasy. 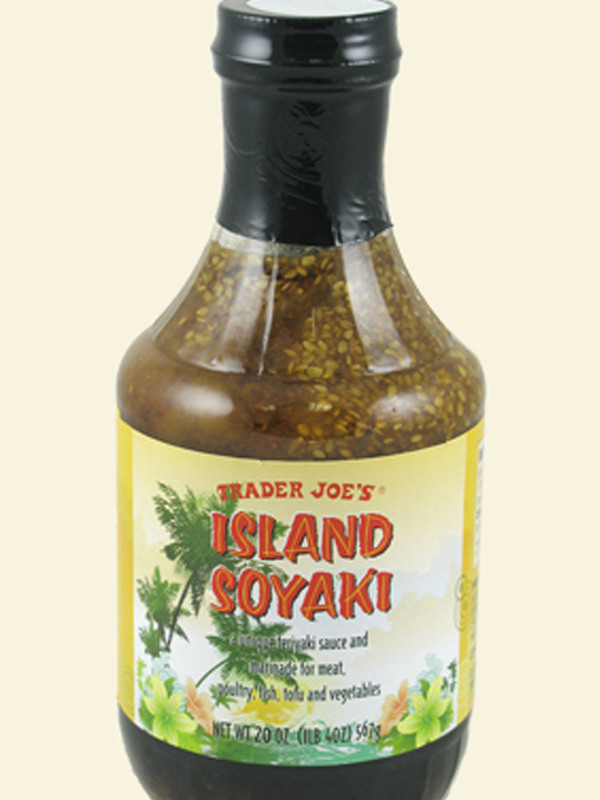 Super easy stir fry, topped with Trader Joe's Island Soyaki. Heat a large fry pan or wok over medium-high heat. Add olive oil and heat for a few seconds. 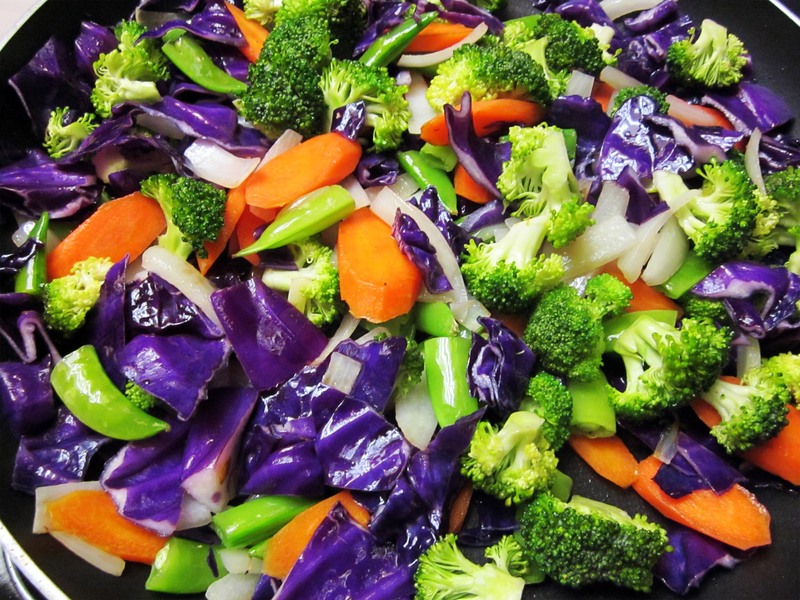 Add all vegetables to fry pan. Stir vegetables frequently, and cook for about 5-8 minutes, (or until the onions begin to turn slightly translucent, but they are still crisp). 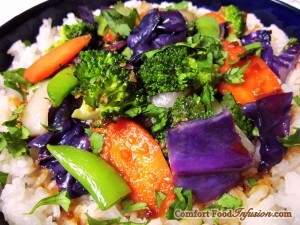 Pour cooked rice onto a large serving serving plate (or in individual bowls). Top rice with stir fried vegetables. Pour Island Soyaki over the top, and garnish with cilantro. *Use any sauce or marinade that you wish. Or omit the sauce all together, and simply season vegetables with salt and pepper.